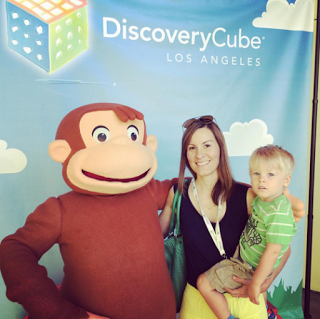 Why Discovery Cube Los Angeles Rocked in 2015 + Giveaway! Will steps inside a tornado at Discovery Cube Los Angeles. 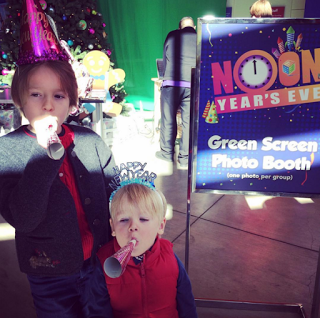 Last year was a big year for the Clark family and Discovery Cube Los Angeles! The science museum, located on Foothill Boulevard near Hanson Dam, was a welcome outing for both Will and CC, and it became a monthly must-do for the fam. 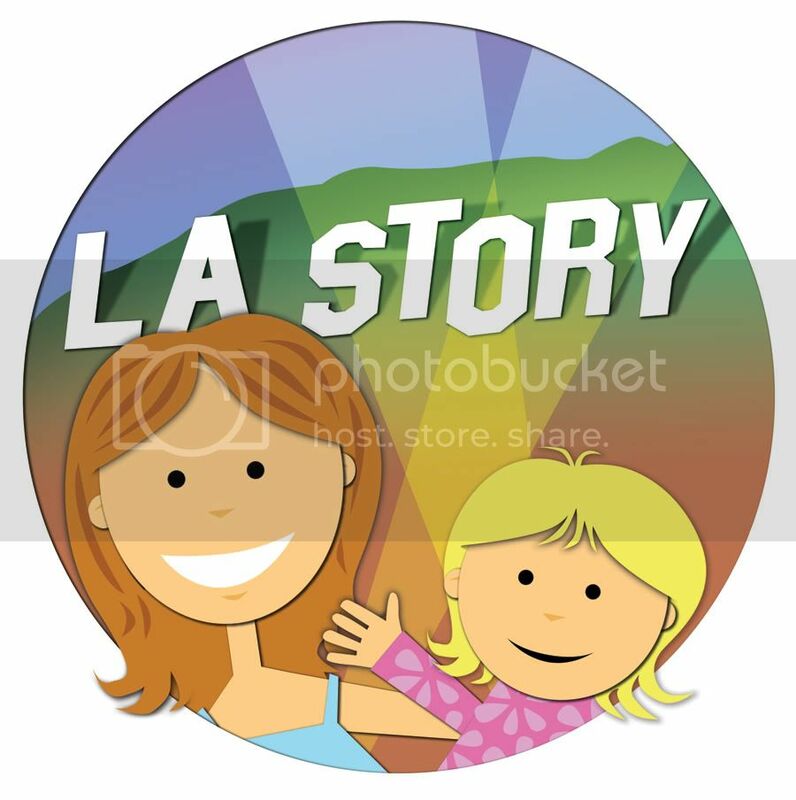 While getting to know the new museum was part of my work as an LA mom ambassador for the Cube, the kids became huge fans and were always asking when we could go back. Luckily for them, they never had to wait long! What's great about the interactive museum is that it (along with its sister museum in Orange County) has cool permanent exhibits like the Tornado above, but the Cube also features new, rotating exhibits, such as Thomas & Friends, Clifford the Big Red Dog and Curious George -- all of which Will totally went crazy for! 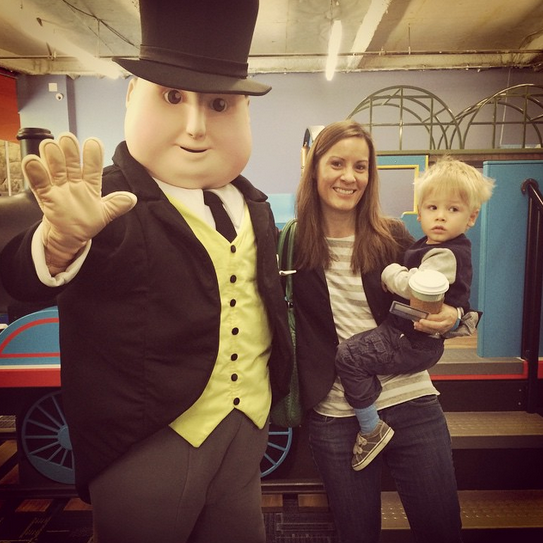 Our adventures kicked off with Thomas the Tank Engine, where Will had the chance to "explore the rails" and meet Sir Topham Hatt, place foam-rubber coal onto a conveyor belt and climb in and out of Thomas' cab. Next, we checked out "The Science of Hockey" exhibit, which gave CC and Will the chance to knock a puck into a goal and pretend that they were captains of the Zamboni! We also had the chance to explore the world of Clifford the Big Red Dog, complete with a little neighborhood set up for the kids to garden and explore. Kids could even push plush dog bones into a seriously oversized feeding dish for Clifford! And who wouldn't want to meet Curious George?! Will, CC and I had the opportunity to hang (for a little bit) with that famous monkey, as well as get hands on with a rocket slide, a fun faux elevator and an interactive feature that showed kids just how wind affects farm life. 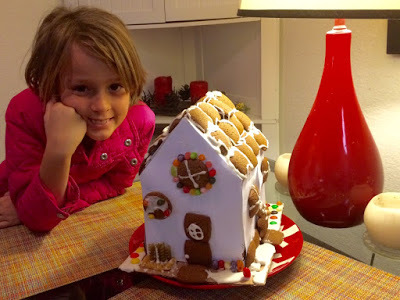 We also can't forget about CC's awesome gingerbread house for the Cube's annual competition, as well as Noon Year's Eve, where kids and parents got to ring in the New Year a little early! 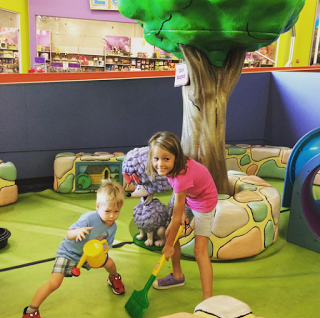 The kiddos were always up for an adventure to Discovery Cube, especially when a new exhibit arrived for them to explore. But no matter which exhibit came to the Cube, Will's first love was -- and still is -- the Helicopter Tour, which simulates a deep dive down into LA's water filtration system or flying over the Sierra Nevadas to check out how our water gets to us. It's pretty amazing! And we'll definitely be back again -- and again -- in 2016, too! Tickets: $10 for adults and kids through April 30. 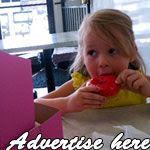 Kids ages 2 and under are free. 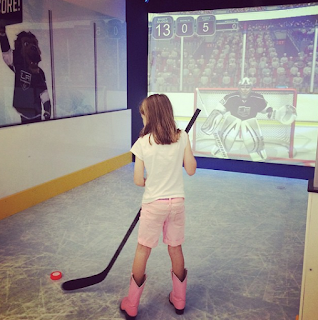 I'm giving away a Family 4 Pack of tickets to Discovery Cube Los Angeles! Enter by Thursday, April 21 via the RaffleCopter widget below. The winner will be announced on April 22! Good luck!